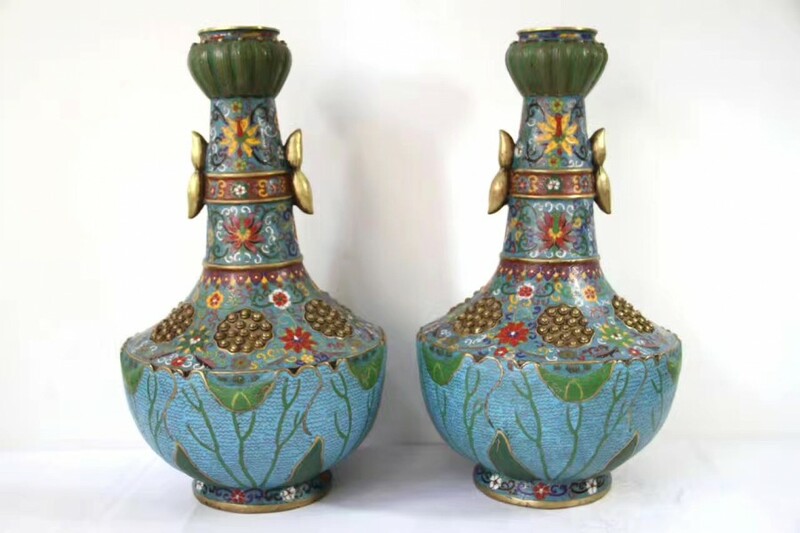 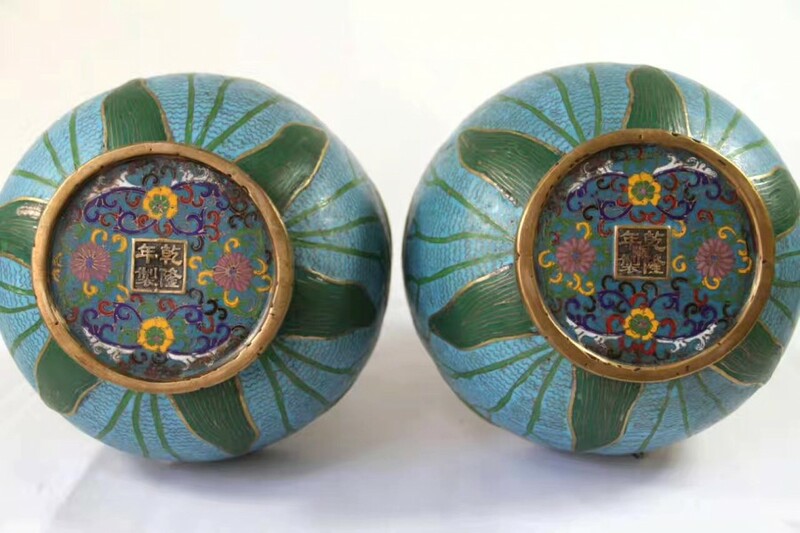 Feature： A pair of bottle vases, Cloisonné (2*)(Chinese imperial decoration). 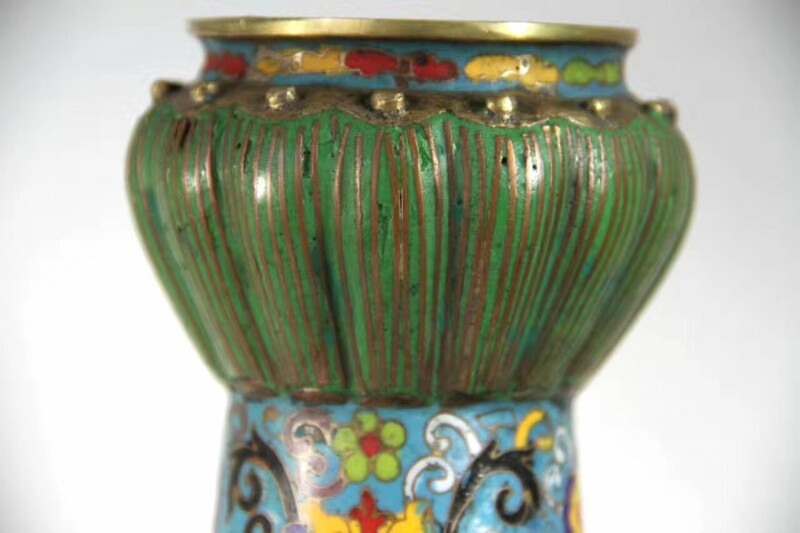 1* The Qianlong Emperor was the sixth emperor of the Manchu-led Qing dynasty (1644-1911) of China . 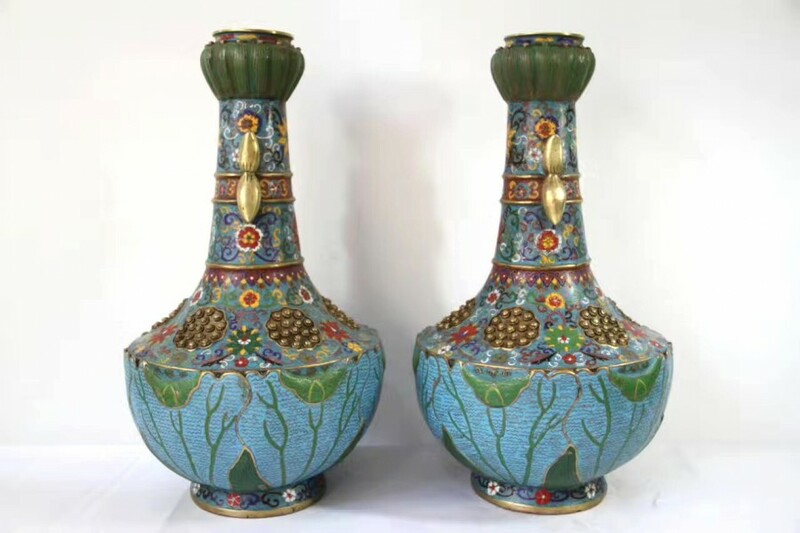 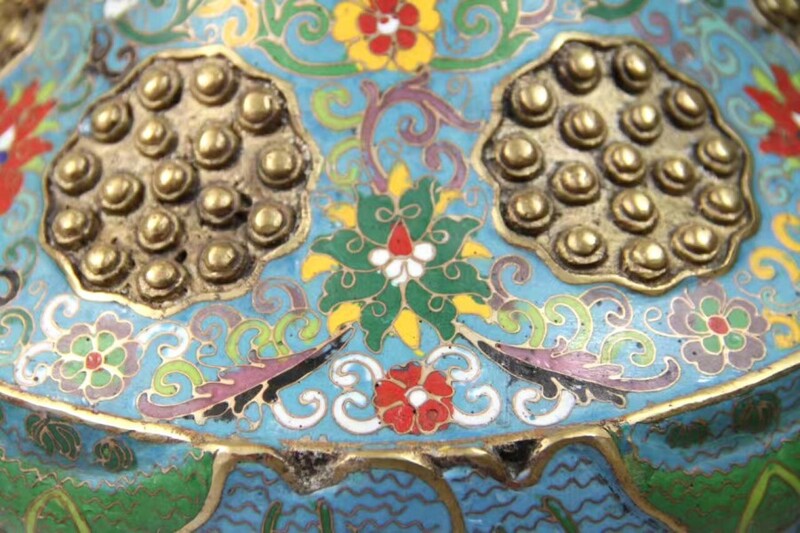 2* Cloisonné is an ancient technique for decorating metalwork objects, in recent centuries using vitreous enamel, and in older periods also inlays of cut gemstones, glass, and other materials. 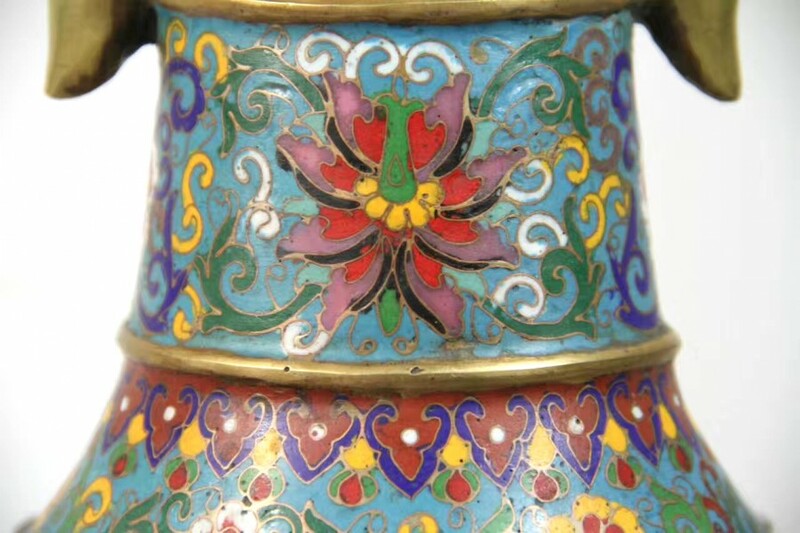 By the 14th century this enamel technique had spread to China, where it was soon used for much larger vessels such as bowls and vases.